Andrew Allen Cook was executed by the state of Missouri on February 21, 2013. Andrew was pronounced dead at 11:22 pm EST, inside the execution chamber at the Georgia Diagnostic and Classification Prison in Jackson, Georgia. Andrew was 38 years of age. 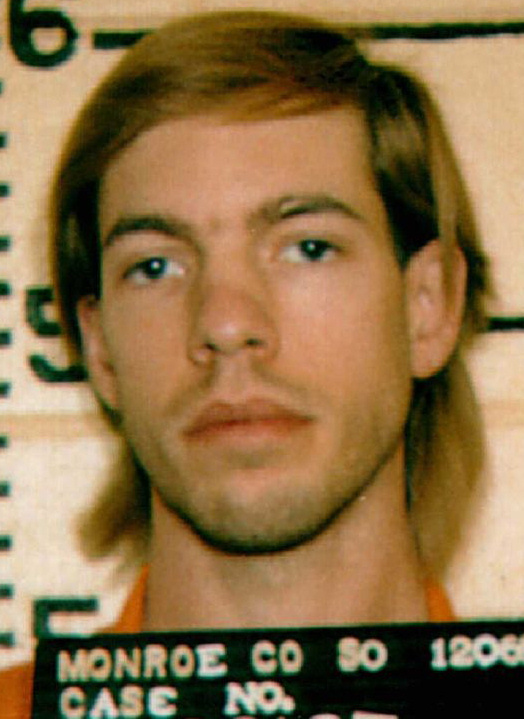 He was executed for the random, double murder of 22-year-old Patrick Grant Hendrickson and 19-year-old Michele Lee Cartagena on January 2, 1995, in Monroe County. Andrew eventually confessed to the crime to his father, an FBI agent. As a child, Andrew lived with his mother and stepfather, who was emotionally and physically abusive. Andrew’s mother said that in the days before the murder, Andrew said he was hearing voices and possibly exhibited paranoid thinking. Prior to his arrest, Andrew worked at a diaper factory. Please pray for peace and healing for the families of Patrick Hendrickson and Michele Lee Cartagena. Please pray for the family of Andrew Cook.